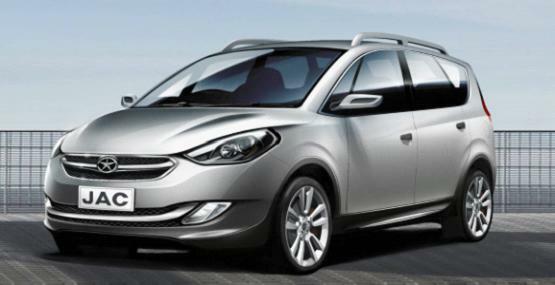 The yearly model of JAC J6 has released its sketch design lately. 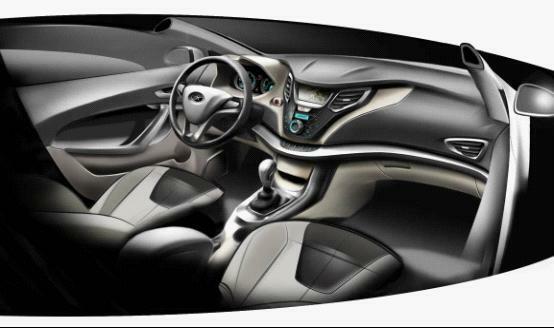 It is shown by the sketch design that there is much change in appearance and center console. Headlamps look more forceful and pointed, and the front bodykit becomes much thicker. Tail lamps are redesigned into the shape of quadrangle from triangle, while the center console is given a design that subverts the original styling. It is the completely new design of headlamps that gives a more forceful and pointed look to the former face of JAC J6 2012. The headlamps are in an irregular shape in terms of overall appearance. High beam and low beam lamp are concentrated in the middle area of the smoke base, and in addition, the upper of the headlamp is decorated with white color and accordingly looks like the eyebrow of an eagle. The turn light is planned to hide itself outside the white "eagle's eyebrow". To the engine hood two forceful decorative lines are given to enhance the effect of headlamps. The front bodykit looks much thicker. The auxiliary air intake above the bumper is given a U-shape chrome-plated decorative trim, which, in coordination with the black skirt design, adds much majesty to the former face of the complete vehicle. Much change is also found in the design of tail lamps, which are changed in shape from vertical triangle to polygon. The side decorative lines are visually extended backward to tail lamps and further point to the LOGO of the five-pointed star, while the rear windshield makes the current model appear more wide-bodied. As indicated by the sketch design, twin exhaust tips are adopted for this yearly model of JAC J6. But it is unclear that such a change is based on consideration of motive force or installation of a new engine. More information is needed for confirmation. Great change in interior trimming is another point of attention to this yearly model. The center console, in particular, has thrown away the original styling but adopted an arc-like design, which is much smooth visually. 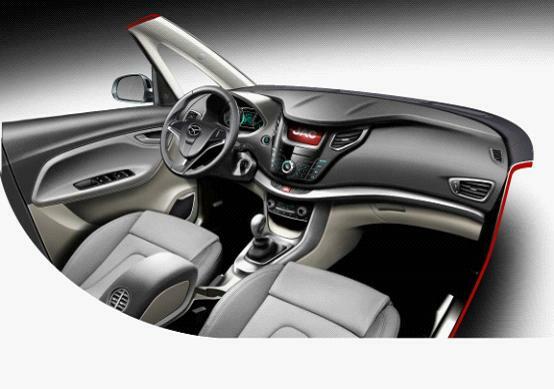 Complete design is also given to the steering wheel and the dashboard. 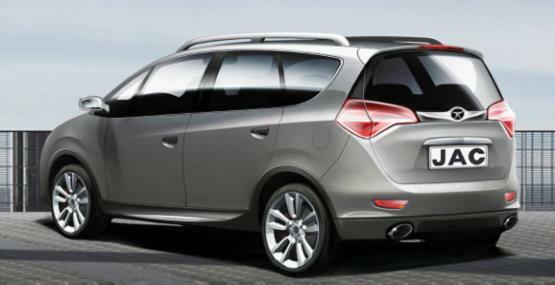 As a leading model of JAC car, B-class series series has won the recognition since put to the market, and J6 also quickly set itself up as a paragon of MPV. Recently JAC J6 staged a performance show entitled "I Drive, I Experience" in 10 major cities, which gave users an amazing experience. As is known to all, the car stunt is a demanding challenge to the car's performance, as well as one of best tests on the overall performance, especially on the power control and safety performance. JAC J5 succeeds in reaching the technical level based on the racing car platform and demonstrating its quality. It is known that JAC J5 will continue its performance show in Luzhou, Dongguan, Lu'an, Xuzhou, Changshu, Xinxiang and so on, with the intention to demonstrate its high quality and perfect performance. The disclosure of this yearly model J6 allows us to find out the advance and upgrading in the car's quality. For more specifics, we need to wait for JAC official newsletters.